According to federal statistics, nearly 1.5 million people were arrested for drug crimes in the U.S. in 2016 alone. Sadly, many of these arrests related to pharmaceutical prescriptions. Perhaps the person did not have their prescription or they were addicted and abusing a medication. Whatever the case may be, the problem is getting worse. Research from Illinois shows that in that state nearly half a million residents abuse prescription medications each year. In our own state of Maryland, data suggests that as many as 40% of all drug or alcohol deaths involved at least some form of prescription drug use. This is indeed a national problem. So, how do people get in trouble for prescriptions? Here are just 3 of the more common scenarios and tips for how to avoid them. Many people do not realize it, but under both state and federal drug laws, it is illegal to possess someone else’s prescription drug for the purpose of personal use or distribution. When the police make a traffic stop, they often discover prescription medications that do not belong to the individual possessing them. This does not automatically make the person guilty of a crime, but police may have other reasons to suspect use, such as visible impairment. Or, the quantity and packaging may indicate the intent to sell. AVOIDING PROBLEMS: If someone asks you to pick up their medication, keep it in a sealed container with the pharmacy label and other identifying information clearly visible. Never attempt to change bottles and never use a medication for which you have no prescription. Sometimes people will take prescriptions out of their containers and put them in pill organizers or other containers to make regular use easier. 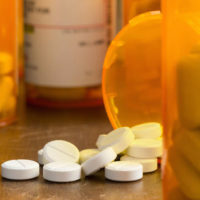 Others may try to share containers by putting strong narcotics, pain killers, and other controlled substances in regular Aspirin and over-the-counter medication bottles. This is a mistake, as it makes it look like you are transporting illegal drugs. AVOIDING PROBLEMS: If you are going to remove pills from the prescription bottle and plan to take them with you outside your home, be sure to carry copies of your prescriptions. At a minimum, you can easily snap pictures of your prescription labels and save them on your smartphone. Also make sure you keep your doctor’s card in your wallet so you can quickly call the doctor’s office if asked for proof by police. Remember that if you have a 30-day supply of a medication but you are caught with 100 pills in a bottle marked for 30, police may see this as a sign that you are intending to sell them rather than use them personally. Even with a lawful prescription, you could still be arrested and charged with the intent to distribute. If you have enough pills, you could even face trafficking charges. AVOIDING PROBLEMS: Refill your prescription as needed. Never try to “stock up” or store pills. People who travel frequently may be tempted to collect excess pills so they never run out away from home. Instead, talk to your doctor about your situation. Unless you are in a truly remote or foreign location, most areas of the country have pharmacies that will fill your prescription if your doctor is willing to call or fax an order. If you’ve been arrested for illegal possession or intent to sell, call the Law Offices of Todd K. Mohink, P.A. to schedule a private consultation. Our Maryland legal team is eager to help you today.